Wow! has this been a busy month so far! The year is whizzing in to top gear already. "Time is fleeting and finite. No matter how organized we may be, there is never enough to do all the things that we should be doing." "Remember, if you need a helping hand, you'll find one at the end of your arm. As you grow older you will discover that you have two hands. One for helping yourself, the other for helping others." Are there any 'good wives' out there today? I received this great article from my dear friend Ruth from Minneapolis. 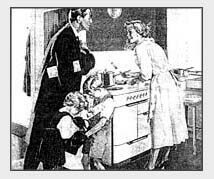 It appeared in the Housekeeping Monthly 13 May 1955. Thanks Ruth for thinking of me. Here is the "The good wife's guide" a la 1955. Prepare yourself. Take 15 minutes to rest so you'll be refreshed when he arrives. Touch up your make-up, put a ribbon in your hair and be fresh-looking. He has just been with a lot of work weary people. Prepare the children. Take a few minutes to wash the children's hands and faces (if they are small), comb their hair and, if necessary, change their clothes. They are little treasures and he would like to see them playing the part. Minimize all noise. At the time of his arrival, eliminate all noise of the washer, dryer or vacuum. Try to encourage the children to be quiet. Don't complain if he's late home for dinner or even if he stays out all night. Count this as minor compared to what he might have gone through that day. Methinks this was written by a man? The mango season is coming to an end in this part of the world - what a shame! 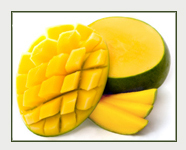 I've really been enjoying eating a mango each day, especially because they contain vitamin C, vitamin E and beta-carotene. No other tropical fruit contains all three of these powerful antioxidants.... and, they taste so good! Here's another tip from Martin Avis - you might have noticed that I enjoy Martin's KickStart newsletter - you could sign up for it here if you wish. The 'maybe habit' is one that every single one of us has to some extent or another. It is the knee-jerk reaction to defer a decision. Should I? Shouldn't I? Maybe I'll think about it later. Maybe I will, but I need more input. Maybe I'll do it after lunch. Maybe I'll think about that tomorrow. No you won't. You are just feeding your maybe habit. It will be very hard to stop yourself because I doubt you are even aware that you are doing it. Procrastination is like dry rot - it takes a lot of effort and some heavy-duty deconstruction to eradicate. But consider this. Every time your maybe habit kicks in, you waste the time it took to defer the decision. And you'll waste that time over and over again until eventually, circumstances will force you to answer yes or no. It not only wastes time, but it wastes your emotional strength. Undecided actions play on your mind. they sit in your brain and make you feel guilty. They cause you to worry and feel stressed. And all that negative energy slows down your thought processes and reinforces your maybe habit. Other decisions then get deferred and the cycle continues. When you minimize your maybes, you will automatically maximize other aspects of your life - time, energy, positivity and action. And maybe ... that's not such a bad idea at all! When you really want something, do you put affirmations to work for you but don't feel quite right about it, or don't quite get the success you're after? I've just come across a program that I'm sure will help you to fast track the path to achieving your goals......I can't wait to try it! Click the link to find out more. Please continue to share this Choose Wellness Newsletter with your family, friends and business associates - the more the merrier! I welcome your questions, comments or requests so please contact me if you have anything you'd like to ask or say. 'healthy cells = healthy bodies', so keep all those cells well fed in 2008. I'm sure you'd really enjoy reading "The Science of Being Well", so if you haven't done so yet, just click for your copy.